Mitsui Chemicals is teaming up with Taiwan’s Formosa Plastics to commercialize carbon fiber-reinforced polypropylene unidirectional (UD) sheet and tape under the Tafnex brand. Formosa supplies carbon fiber treated with a special sizing agent to Mitsui Chemicals for processing into the UD sheet and tape products. A 40% carbon fiber UD tape has a density of 1.27 and a tensile modulus of 100 GPa. While numerous market participants see a mismatch between expensive carbon fiber and low-cost PP resin when combined into a composite, Mitsui Chemicals believes it has found a viable solution in utilizing cost-competitive carbon fiber sourced from Taiwan that does not compromise on quality and employing the resulting composite only in locations where structural strength is needed through overmolding with less exotic materials. For example, the company sees potential for the combination of components compression-molded from the material inserted into injection tooling for overmolding with glass fiber-reinforced PP, providing strength where it is required in a car liftgate. Mitsui Chemicals has also developed filament winding technology that employs aluminum cores to fabricate PP composite pipes that could be used as cross-car beams and integrate various PP subcomponents that would natural adhere to the pipe via overmolding. In fact, the first application is such a pipe component that will be used in industrial machinery. 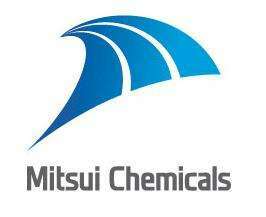 This application has essentially sold out capacity at Mitsui Chemicals first production line in Nagoya, Japan that is scheduled to start operating in April 2019 and the company is already considering installing a second line. Japanese automakers are reportedly not overly keen on extensively applying carbon fiber-reinforced PP composites, reportedly due to issues with flame retardance, but Mitsui Chemicals says this is not the case in Europe, where there are more low-volume OEMs. The company plans to tap this market with the help of design house ARRK Corp., which it acquired last year. Interest is already evident from European sports car makers according to Mitsui Chemicals. In another carbon fiber-related development in Japan, Toyo-Oriental Molding (Saitama Prefecture) has developed a technology for fabrication of press-molded, deep-draw carbon fiber-PP composites that employ a low viscosity urethane emulsion to prevent fiber breakage. Deep-draw molding of thermoplastics is normally challenging, but this new technology will reportedly allow CF-PP composites to compete more favorably with thermoset composites.